This exciting and fun toy will be a huge hit with your toddler and preschooler! 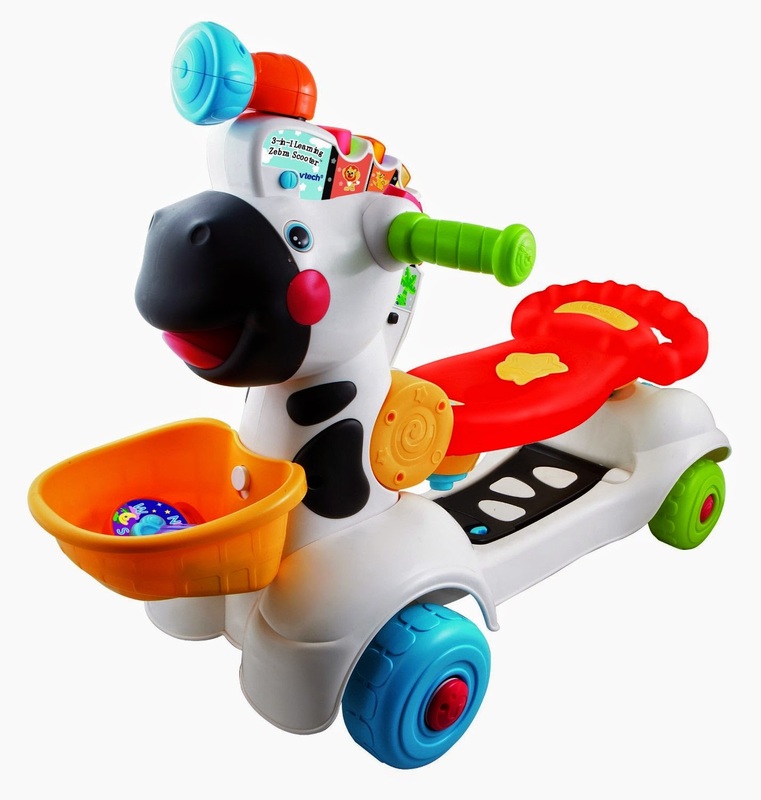 Many will think this toy looks more like a cow than a zebra, but regardless, your child will love pushing all the different buttons, listening to different music, animal sounds, attaching the different accessories, and more! 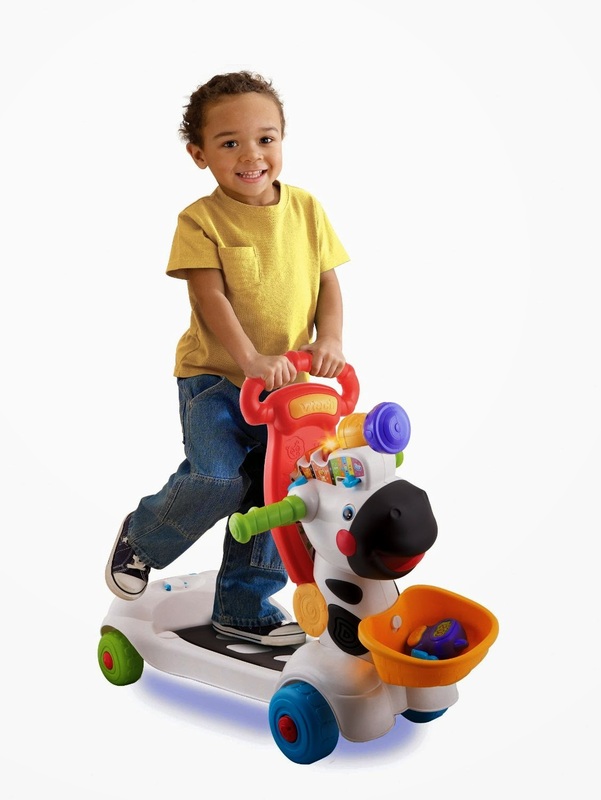 I watched my sons through all 3 stages with this toy: pushing the buttons and attaching accessories, pushing the zebra as learning how to walk, learning to move forward and backward (starting with moving backward first), and finally now, using it a scooter to go places! The toy is well made and thought-out for kids. It's safe on wooden floors; does not leave any scratches. There are 3 different attachments that plug into the top of the zebra head; a compass, a flashlight, and a walkie-talkie, although my boys preferred to put all the attachments inside the basket which attaches to the neck of the zebra. The 3 attachments will 'program' the toy to give different responses when the lighted buttons are pushed. Yes, this toy does speak and play music. And believe me, the music and sounds it makes are not annoying, so it's not like some of the other toys where you just want to put a tape over the toy's 'mouth' or take out the battery. The speaker or volume on the zebra has a loud and a soft setting, and like I said before, the music and sounds the zebra makes are very fun and pleasant to hear. Once your child figures out that there are 2 volume settings, s/he will use the loud one only, of course. 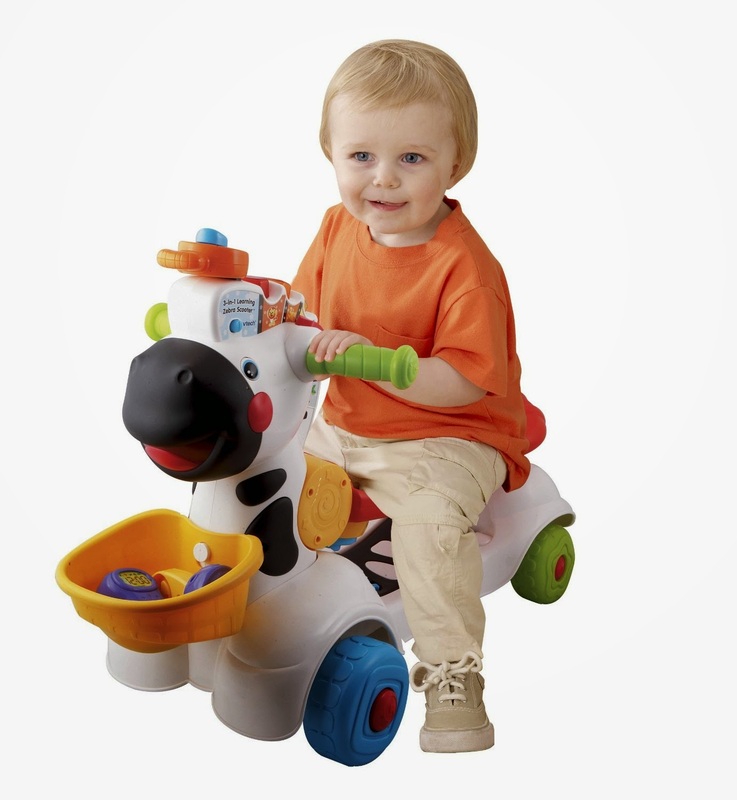 The 3 different modes on the zebra are also very inventive: seat-down position, seat raised to make it more like a handle to be able to push the zebra (great when learning how to walk), and the stand-up scooter position. You will need to help your munchkin to change the different modes and lock down the various positions of the zebra. 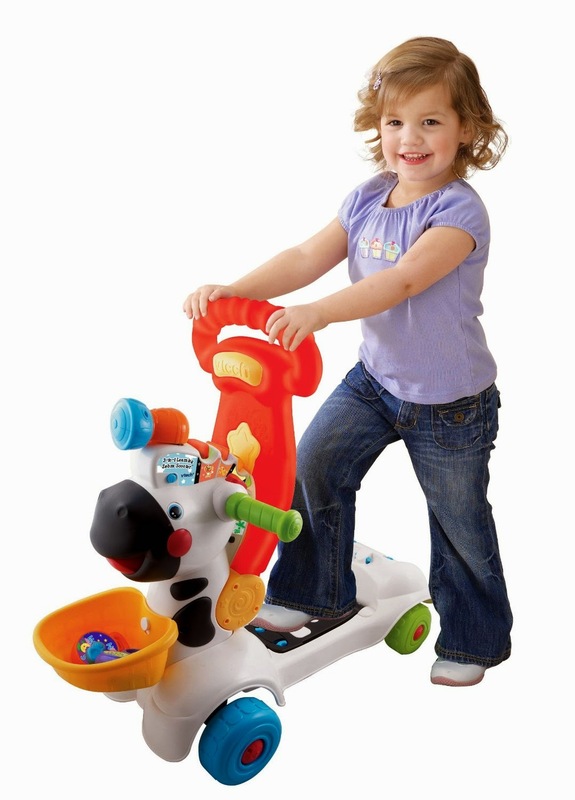 Congratulations to VTech for making this wonderful toy for our little ones. It is a great toy that will last many years and many kids (if you have more than one). When I bought this toy, I chose it because apparently it won some big award (can't remember which one), but I definitely recommend it to any parent with a toddler or preschooler, or as a gift. You won't be disappointed! You can order the Learning Zebra on amazon.ca; it's cheaper than buying it from ToysRUs. Hearty Meatloaf Your Kids will Love! Best Kids Buys for this Winter! What's Up with Bed Wetting?